If you are looking for a one -stop shop for adventure and fun during your time in Costa Rica look no further than La Fortuna. 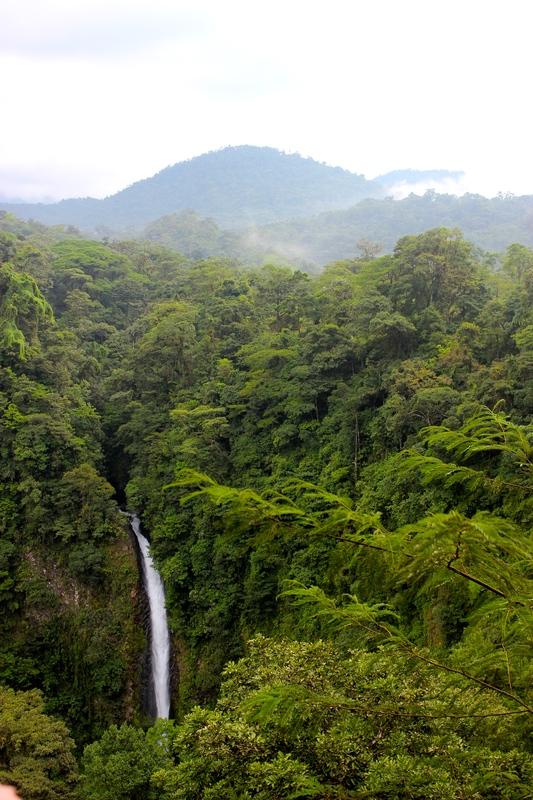 La Fortuna de San Carlos is at the centre of an array of geological wonders. 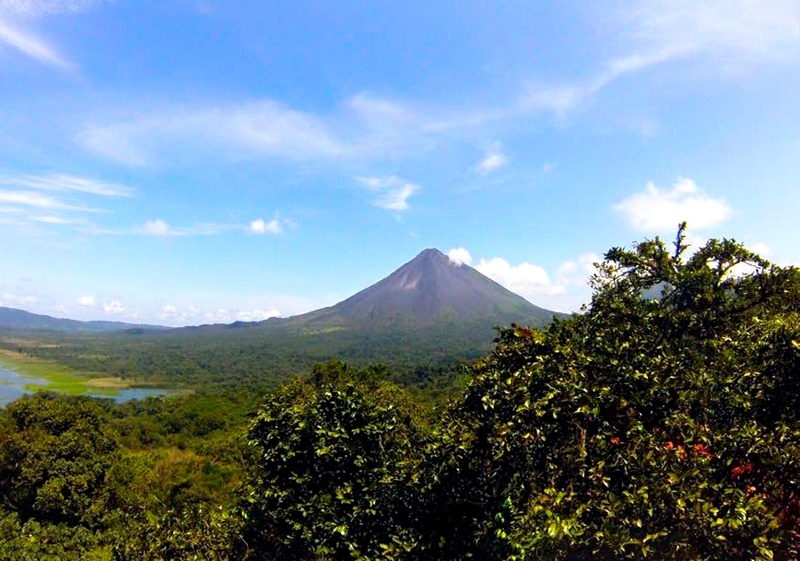 With Coasta Ricas most active Volcano (Arenal Volcano), which routinely bursts with lava and ash, hundreds of hot springs and a seventy metre high waterfall there is lots to see and do. Here is some of my highlights for the area! Whilst there are many zip line options in La Fortuna, varying in prices and styles, we chose to do the ‘Sky Trek’ with Sky Adventures. It was the priciest option and whilst we are dirt poor it looked incredible… and it was worth every penny. The longest cable is 750 metres long, the highest cable 650 feet above the rainforest and the views of Arenal Volcano during the ride are incredible. The Big Daddy cable was our favourite! We had so much fun and I would go again in a heartbeat! Yesterday was a great day. Despite being horribly sick I dragged myself out of bed to get some adrenaline (the best type of medicine). We went zip lining on cables 750 metres long and 650 feet high above the pristine Costa Rica rainforests, overlooking the Arenal Volcano. It was EPIC (as you can tell by my whoops of glee)! This 70 metre tall waterfall, that cascades down a sheer canyon of dark, volcanic rock was one of our highlights in La Fortuna. Whist you can see this impressive fall from afar without any sweating necessary I do recommend hiking down to the bottom to see it from the rainforest floor to be truly impressed. This is also the perfect place to go for a refreshing dip, just don’t get too close to the thundering water, it is strong! Until recently the Arenal Volcano was Costa Ricas most active Volcano, spurting lava and ash regularly. At 5,350 feet tall it can be seen from almost everywhere in town. I found the best places to photograph it was on our boat ride on La Fortuna Lake from Monteverde and from the zip-lining lookout but if you can afford a swanky hotel in town they all tend to have incredible views. I was super sick during my time in La Fortuna and was bed bound for three days so didn’t get to do as much as I would have liked but other places and activities people rave about in La Fortuna include the Rio Celeste River and the Hot Springs. Whilst there are free hot springs in La Fortuna it is out of town so the only way to get there is either though a tour or by paying a rather expensive taxi ride. Some of the hotels also have some of the most incredible hot springs I have ever seen, but Costa Rica is expensive and so is entry to these, some at $60 a day… just for the hot springs! Craziness! But if you can afford it you’ll love it! I wish that I had been well enough (and rich enough) to enjoy La Fortuna and it’s wonders better. La Fortuna sure was impressive though and I would happily return again. Have you ever been to La Fortuna / Costa Rica? What were your highlights?